There's nothing like a set of gleaming chrome wheels on a car to set a car enthusiasts' pulse racing. I love to clean chrome wheels because it's easy to get a great finish. It's also important because chrome wheels can degrade quickly and permanently lose their shine, without proper care and regular attention. Cleaning wheels can be a delicate affair, and knowing how to clean chrome wheels properly will help to keep them looking like new and stop rust spots, laquer peel and structural damage, especially on older classic car wheels. An often overlooked part of the process is protecting the wheels from dirt such as brake dust, tar and stone chips. Applying protectant sealant and wax will ensure the chrome is protected and that shiny chrome look lasts longer. Using a garden hose, pressure washer or some other water squirting device...rinse off any loose dirt and grit from the wheels. This not only speeds up the cleaning process, but also loosens tougher dirt and lubricates the surface of the wheel. When we come to manually rubbing the surface of the wheel, we want to minimise the chances of scratching the chrome finish so wetting it first will help here. Once the wheels are good and wet, we will concentrate on cleaning one wheel at a time. Make sure the wheels are cold, and not in direct sunlight, then using a good quality chrome wheel cleaner, spray the first wheel thoroughly. It's important that you use a reputable wheel cleaner, and one that is suitable for cleaning chrome wheels. 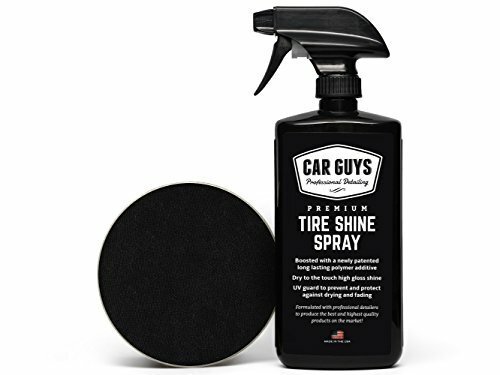 I myself use Chemical Guys Wheel Cleaner because it's safe to use on my car, it's PH neutral so I know it won't damage the wheel lacquer, my tires or me, and it's also environmentally friendly. Now leave the cleaner to do it's job for a few minutes. 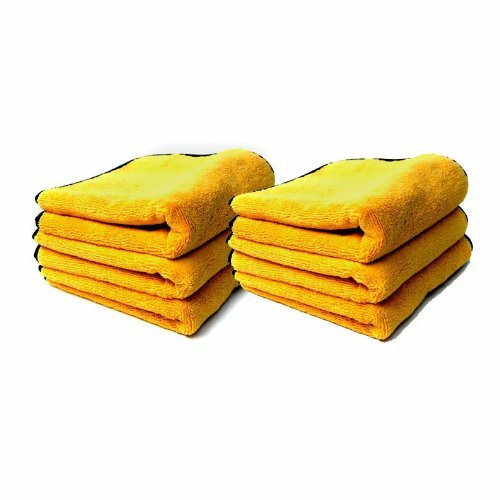 Once the cleaner has had a chance to do it's thing, you need to gently agitate it by rubbing with a cloth, sponge or wheel brush. If you really want to go the whole hog and clean your wheels like a professional, then you need to get some Wheel Woolies Brushes. 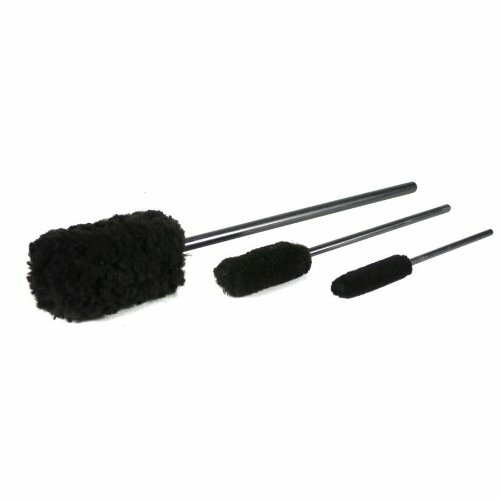 These brushes are designed specifically for cleaning wheels without damaging them. Spend a few minutes rubbing the cleaner into the wheel, loosening any dirt or brake dust. Be careful not to pick up any sharp pieces of dirt that could scratch the wheel surface. Use the wheel brush or wheel woolie to clean the tight spots between spokes and around the wheel nuts. Once you've given it a good clean, hose down the wheel again, washing away all the loose dirt and remaining wheel cleaner. If you've missed a bit, or the wheels were particularly dirty, then you'll need to spray on more cleaner and repeat the cleaning process. To help keep your wheels cleaner longer, don't forget to hose down inside the wheel arches and behind the wheels. Dirt accumulates here and will transfer to the wheels when driving. Once the wheel is clean and you have rinsed all of the dirt and cleaner, dry the wheel thoroughly with a clean microfibre cloth. It's important that the cloth is clean, and free from oil or harmful chemicals. After wiping off the excess water, leave the wheel to dry for 20-30 minutes before waxing. Waxing your car's wheels is vital if you want to protect them and keep them looking like new. Once the wheels are clean, waxing is an easy step that doesn't take long. Ensure the wheels are dry and free from all contaminants such as brake dust and tar. If not, you'll need to clean the wheels thoroughly. Sometimes if the wheels are really dirty you may need to take the wheel off the car to make it easier to get into all the awkward places, to ensure it's really clean. Next, you want to apply the wax to the first wheel using a soft cloth or wax applicator. Unless you are an expert, don't be tempted to use a polishing tool, the wax will go everywhere and you may scratch the chrome! Apply the wax slowly and liberally in a circular motion until the entire wheel is covered. Most waxes will start to dry to a haze fairly quickly. Leave the wheel for a few minutes until all of the wax has dried. Now take a clean, soft cotton cloth and rub away the wax until the wheels shine. Some people like to use a cone shaped polisher sponge for this step, to make the job a bit easier. It all depends on the type of wheel, some wheels will need to be done by hand. Repeat for each wheel until you've got four shiny looking chrome wheels! If you want to keep the wheels looking good, you'll need to re-wax at least twice a month, depending on how much driving you do. Make sure the wheels are clean and dry. Start by breaking off a small amount of clay and rub it between your hands until it is warm and plyable. Now spray a liberal amount of clay lubricant onto the surface of the wheel and start rubbing the clay in a circular motion on the wheel, covering a small area at a time. 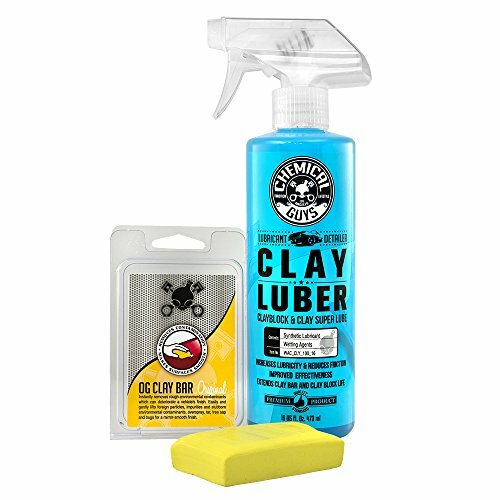 Make sure to keep the wheel surface lubricated, and if you drop the clay or it picks up some heavy dirt, then replace it with a new piece to prevent scratching. When the wheel is done, buff using a soft cloth. Sometimes, especially if the wheels are a bit older, washing and waxing won't be enough to give them that mirror finish. If the wheels have some minor scratches it may be possible to buff them out using a rotary polisher and some cutting compound. Here's a quick run down of what you'll need to do. First, make sure the wheels are real chrome, not imitation or plastic coated. Real chrome coating is like metal and can be corrected by buffing. You won't be able to remove deep scratches, but light scratches and hazing can be fixed. Ensure the wheels are clean and free for brake dust, tar etc, using the steps above. 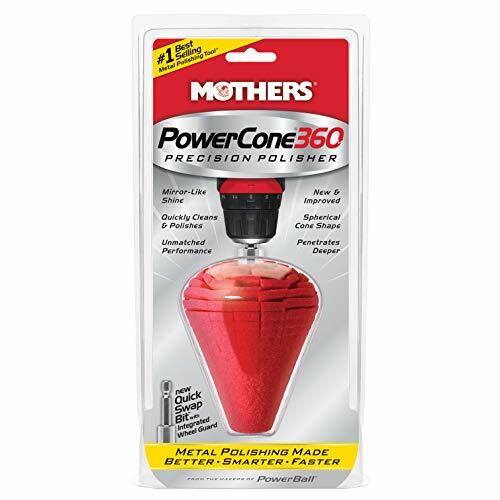 Take your rotary polisher and fit a cone metal polishing tool. 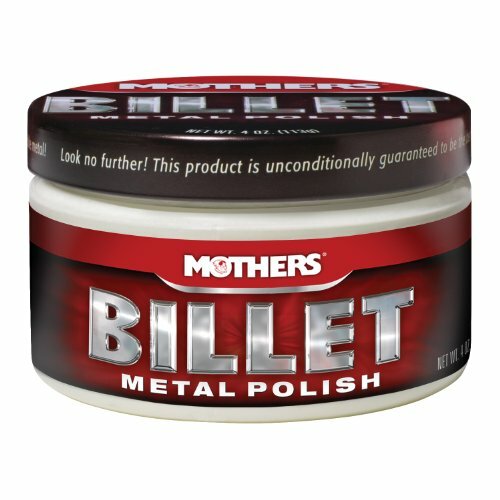 Now take some metal polish and apply a small amount to the cone. Start off slowly, spread the polish onto the wheel, until all the polish has been transferred to the wheel. Be careful not to apply too much pressure, you just need enough to spread the polish remove any imperfections. When all of the imperfections are gone, buff up the wheel using a clean soft cloth. To give your wheels the ultimate showroom finish, there is nothing better than a shiny wet look tire. There are lots of products out there that can easily applied to your tires to achieve this look. 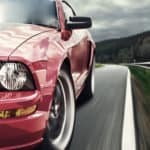 Check out our tire shine article to see some reviews of the top choices. Clean and dry the tires completely. Don't apply the dressing in hot weather or in direct sunlight, the dressing will be too tacky and won't be absorbed properly into the wall of the tire. Choose a water based (environmentally friendly! ), semi-shine dressing that dries quickly and bonds to the tire. You don't want the tire to be too shiny, and you don't want the dressing to end up along the side of the car when you start driving. Use an applicator sponge, or even a normal household sponge to apply the dressing. The sponge will soak up some of the tire and help to apply it more evenly than a cloth. With most tire dressings, applying a second coat will give you a glossier shine. Let the first coat dry thoroughly before applying the second one, and remember sometimes the tire will dry out glossier, so one coat might be enough. To keep your chrome wheels in top condition, it's important to clean and wax them regularly. 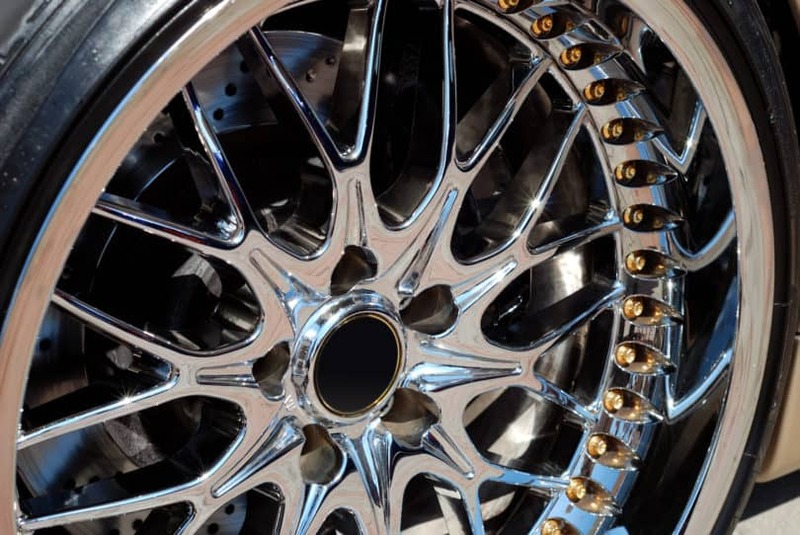 If they are older or have been neglected, then polishing and claying chrome wheels can be a great way to restore them and to give your car a great finish.